[PDF] Hole's Essentials of Human Anatomy & Physiology (13th Edition) | Free eBooks Download - EBOOKEE! 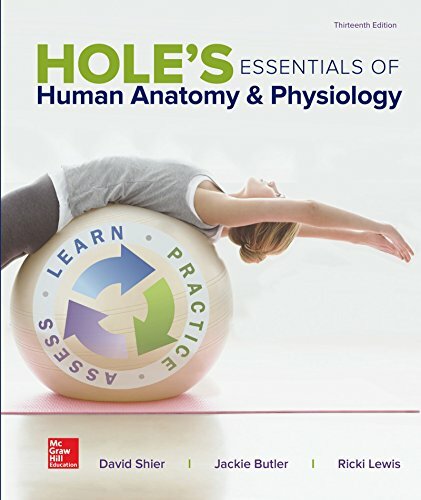 Description: Designed for the one-semester anatomy and physiology course Hole's Essentials of Human Anatomy and Physiology assumes no prior science knowledge and supports core topics with clinical applications making difficult concepts relevant to students pursuing careers in the allied health field. The learn practice and access system is used throughout the textbook and digital. "Learning" Outcomes at the beginning of each chapter set the stage for what students will learn "Practice" questions at the end of each major section help check their recall on what they just read and "Assess" end of chapter resources help students confirm their accurate recall of what they just learned and practiced. Th learn practice and assess system is highly effective in providing students with a solid understanding of the important concepts in anatomy and physiology. No comments for "[PDF] Hole's Essentials of Human Anatomy & Physiology (13th Edition)".